Amazingly clear resonance sound and quality! 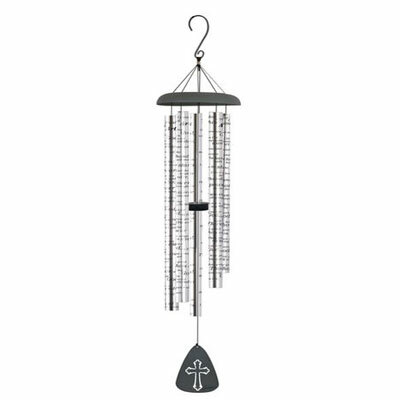 This is from the newest series in the 44" Signature Series Sonnet Chimes Collection -- which is one of our most successful wind chime collections! 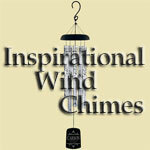 The combination of clean sleek lines, adjustable strikers and heavy gauge center-pinned tubes printed with meaningful messages, poems, and songs have made them so. Each tube has been engraved with the sentiment 'How Great Thou Art.... O Lord my God, when I in awesome wonder, consider all the works thy hands have made, I see the stars, I hear the mighty thunder, Thy power throughout the universe displayed. Then sings my soul, my Savior Got to Thee, how great Thou art. How great Thou Art!"